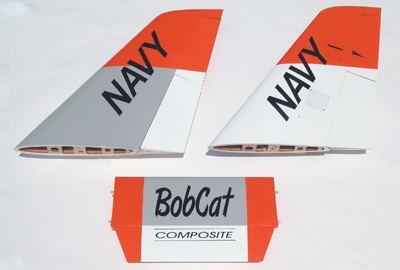 The BobCat is an all composite molded ARF that can be flight ready in a minimum amount of assembly time. It is medium size with many advanced features of the larger KingCat. 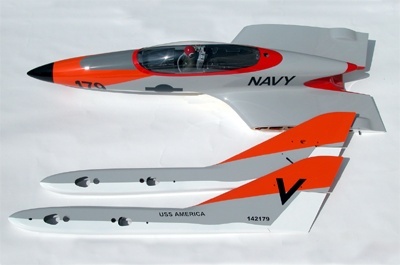 Its slow flight and landing characteristics are enhanced with the huge flaps and generous control surfaces. The BobCat Composite will do it all with less expensive 8 or 9 channel radios and does not require a gyro. The BobCat Composite is the easiest-to-land jet in our inventory - just watch them at the shows. 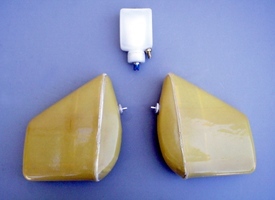 A vaccum bagged, epoxy glass and foam laminate with BVM laser cut internal support structure produces extremely strong and light weight components. Our flight test team has demonstrated that the BobCat Composite can take all the Gs you can throw at it. 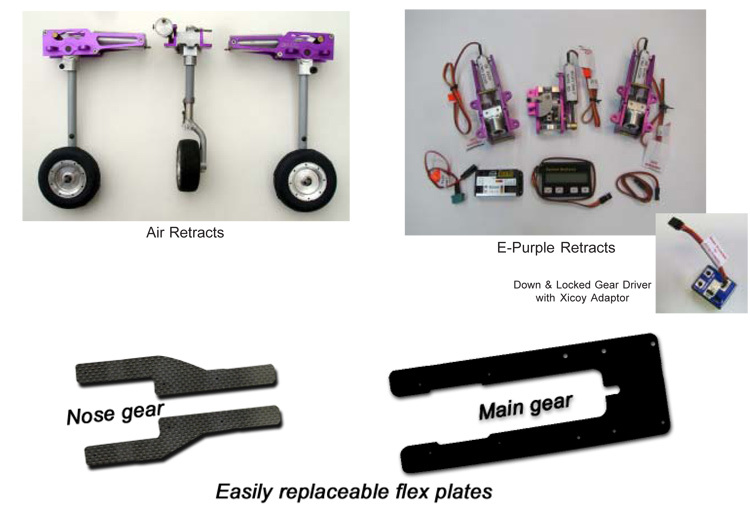 The over-built, dual aluminum tube supported wing and stab structures are designed to last. And, the boom/fin moldings include Carbon Fiber cloth for extra strength. BVM ARFs emphasize strength, quality of manufacture and absolutely complete hardware packages. Fully detailed plans and instructions leave no guess work for you. The primary fuel is carried in multi-layered Kevlar tanks mounted in the center fuse section over the C.G. Due to the large volume of the tanks (2.0L. ), baffles are installed to stabilize the fuel during acrobatics. For 19+# thrust turbines, an additional 1/2 Liter hopper tank is included. The U.A.T. (Ultimate Air Trap) acts as an air bubble eliminator and final filter. You can expect totally reliable 9-10 minute flights with your BobCat Composite. The December 2004 issue of Fly R/C magazine (page 48) describes this most prestigious award presented to BVM for our recent kit offering, the "BobCat Composite". We are very proud of this recognition and the kind words about our company. Editor-in-chief Tom Atwood and contributing editor John Christensen have been very supportive of the jet community with frequent event coverage and some great photography. 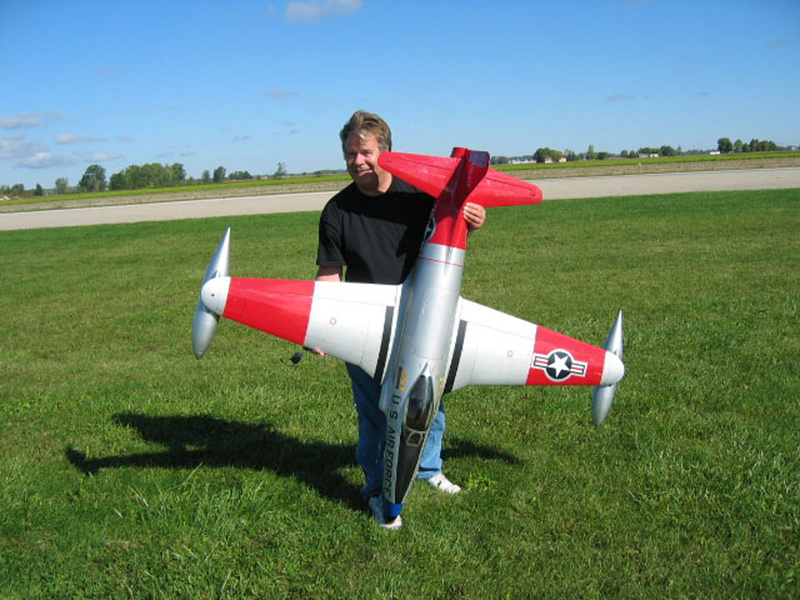 There is usually something of interest to jet modelers in every issue. 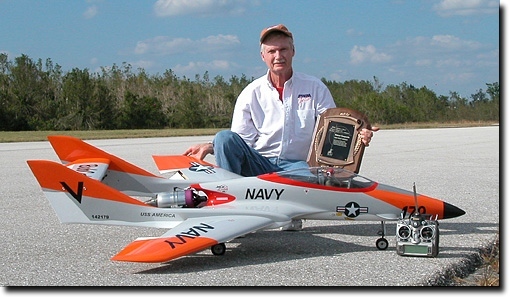 Fly R/C is available at your local hobby shop and on many newsstands.